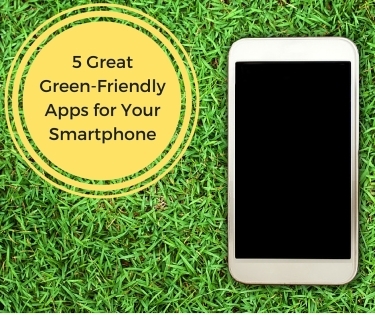 If you’re interested in supporting the green movement, but don’t really know where to begin, these days there are plenty of resources that can help give you a leg up – including a variety of apps for smartphones. You already use your smartphone for everything from making calls to checking up on your social networks, why not let it help you reduce your impact on the world around you? These five apps are available for both iPhone and Android phones. We all buy things every day, and as much as many of us try, it’s hard to find out whether we’re using our dollars to support companies that embrace a strong sense of environmental stewardship – that is, until now. GoodGuide lets you scan all sorts of barcodes with your smartphone’s camera and immediately returns all sorts of information about the product itself and the company that produces it. Ever wonder if what’s in your hand can be recycled or not? If you’re at all like us, it happens all the time. With iRecycle you can quickly determine what to do with your trash, and even where to take it to dispose of it responsibly! Whether you’re interested in recycling a soda can, your car’s battery or some other potentially hazardous material, iRecycle does the research for you. All you have to do is follow its instructions to dispose of your waste responsibly. While getting access to the app means you’ll have to spend money on LiFX light bulbs, we’re still including it in our list because of the potential impact it can have on your energy use. Not only will you reduce your consumption by switching to LiFX’s LED bulbs, your entire LiFX system can be controlled from your phone or even your Apple watch! No need to leave the lights on while you’re out anymore. Just whip out your technology and turn them on as you pull in your driveway and put your car in park! Are you a member of the local food movement, or interested in becoming one? Well, you don’t have to keep your ear to the ground to pick up the details on where you can find the freshest local ingredients anymore, thanks in part to Locavore. This app helps you determine what foods are in season and where you have the best chance of finding them locally. Plus, the app even offers recipes and other great extras! If you’ve had a smartphone for any length of time, it’s a good bet you’ve already used Google Maps at some point to get you from point A to point B. Today, Google Maps isn’t just about car travel. If you’re interested in finding the greenest way to travel, Google Maps can show you walking, biking and public transportation routes to help you arrive at your destination with the lowest impact possible.